DEARBORN, Mich., March 28, 2017 – The editors at Autotrader have discovered what owners, fans and the media have been reporting now for months: The all-new F-150 Raptor is a “Must Test Drive” vehicle for 2017. The Autotrader designation is a consumer-focused award program designed to highlight the top 12 vehicles shoppers must see and experience to believe. Winning vehicles are chosen based on a diverse set of criteria outlined by Autotrader editorial experts, who log thousands of miles test driving the latest cars, trucks and SUVs each year. “For all the awards and accolades owners and the media have bestowed upon the all-new F-150 Raptor, the only way to truly understand how incredible this truck has become is to get to a Ford dealer and get behind the wheel,” said Todd Eckert, Ford truck group marketing manager. The purpose-built, off-road F-150 Raptor builds on the success of its predecessor with performance gains and new technology. The all-new Raptor stands alone among high-performance off-road trucks, featuring a high-output 3.5-liter EcoBoost® engine generating 450 horsepower and 510 lb.-ft. of torque, plus a segment-first 10-speed automatic transmission and six-mode Terrain Management System™. Its high-strength, military-grade, aluminum-alloy body saves 500 pounds over the previous model. 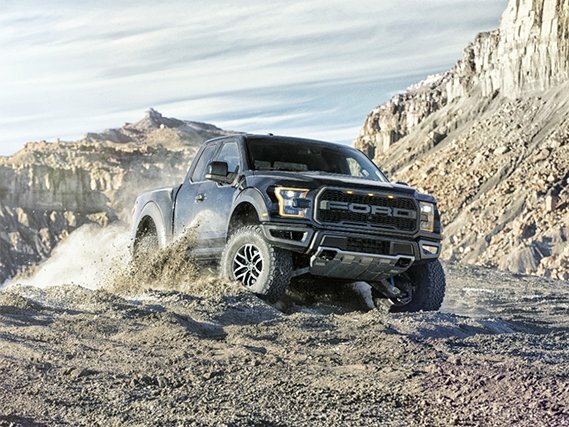 The Autotrader award is the latest in a series of accolades for the all-new F-150 Raptor, including Truck of the Year from FOUR WHEELER, AutoGuide.com and Cars.com.The recognition for Raptor further highlights Ford’s yearlong celebration of F-Series as best-selling truck in America for 40 consecutive years, and 35 years as best-selling vehicle in America. Join the #40YearsTough celebration at www.40YearsTough.com.